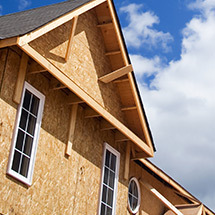 House siding is vital for protecting your home’s structure from the elements. 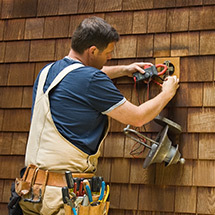 When your house is in need of siding repair it may leave you vulnerable to rain, storms, wind, and snow. Consider vinyl siding replacement to ensure that your home is protected from whatever the weather can throw at it, in addition to improving the overall look of your Charleston area home. Best of all, vinyl siding can endure for decades with minimal maintenance. If you are looking for vinyl siding replacement, contact the professional siding contractors at Kramer Construction. We have been helping homeowners protect their homes and improve their curb appeal with expert house siding repair and installation for over 20 years. Although vinyl siding is sometimes thought of as a cheap cladding material, manufacturers have made many improvements to vinyl siding over the years, and the quality and design options have grown significantly. Added design choices like seamless siding, vinyl shake siding, Cape Cod style siding, and more have given homeowners more options in vinyl house siding than ever before. • There are panels missing from your home’s siding. • Your siding is buckled or warped. • You have chips, dents and cracks in your siding. • Your siding is faded. • You are considering remodeling your home and will be adding new windows or doors. • You are looking to update your home’s look. 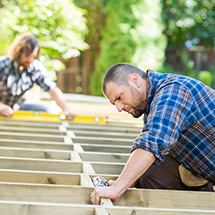 Replacing your home siding is important when it comes to protecting the building’s structure, and it can also go a long way toward improving your home’s value. If you think it may be time to replace your home’s siding, contact our expert siding contractors today. Kramer Construction believes in installing the highest-quality products. This is why we offer Revere vinyl siding products to our customers in Berkeley, Dorchester, and Charleston County. Revere have been working for over 40 years to provide products that stand out for their durability and flattering looks. They offer a range of vinyl siding options including insulated siding, extended length siding, seamless siding, and many different textures including their classic Driftwood line of vinyl siding. With our installation expertise combined with the high quality products that Revere produce, we can make the outside of your home look and feel brand new again. If your current siding is looking worn, or it has taken on damage, contact the team at Kramer Construction. 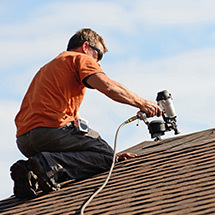 We have over 20 years’ experience with roofing, window replacement, and siding installation. Our team of professionals work hard to provide homeowners with the highest quality of workmanship, installing a product that will last for decades to come. If you are looking for high quality workmanship and products for your vinyl siding project, contact the team at Kramer Construction today at 843-790-3537.